After being snapped in CoroCoro Comic, The Pokémon Company International has today revealed Mythical Pokémon Magearna. In this latest cinematic adventure, Ash meets the Mythical Pokémon Volcanion when it crashes down from the sky, creating a cloud of dust —and a mysterious force binds the two of them together! Volcanion despises humans and tries to get away, but it’s forced to drag Ash along as it continues its rescue mission. They arrive in a city of cogs and gears, where a corrupt minister has stolen the ultimate invention: the Artificial Pokémon Magearna, created 500 years ago. He plans to use its mysterious power to take control of this mechanical kingdom! Can Ash and Volcanion work together to rescue Magearna? One of the greatest battles in Pokémon history is about to unfold! 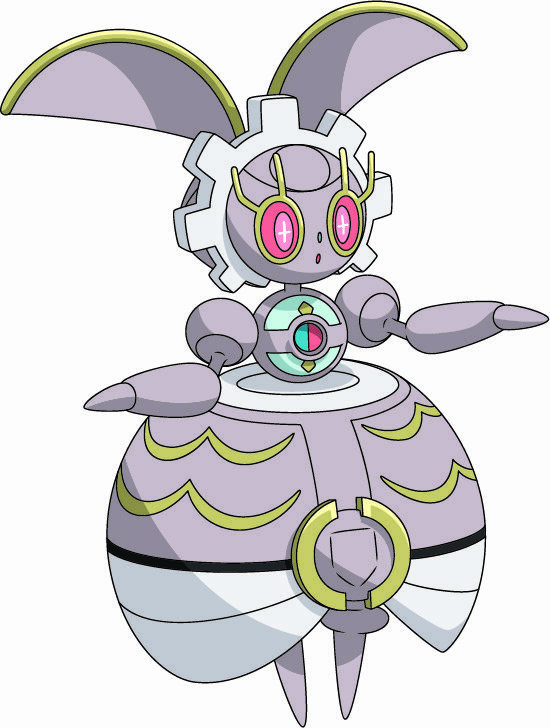 The Pokémon Company International promise to share more details about the Mythical Pokémon Magearna and the next Pokémon movie later in the year.